New Hampshire's Gov. Chris Sununu, sworn in Thursday, says his top priorities are curbing the state's drug abuse crisis, addressing workforce and economic challenges, controlling rising health care and energy costs and improving education. The 42-year-old Republican was sworn into office Thursday, following in the footsteps of his father, John H. Sununu. With Republicans leading the House and Senate, Sununu's inauguration marks the first return to full GOP control in Concord since 2004. 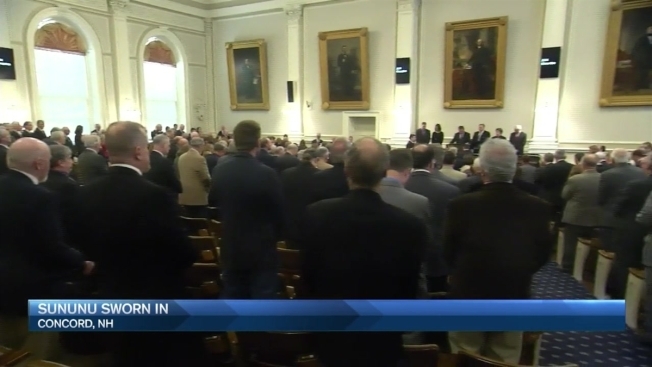 Sununu kicked off his inauguration speech by calling for bipartisanship. "We can't be divisive," he said. The race to see who will succeed Maggie Hassan as New Hampshire's next governor is going down to the wire. 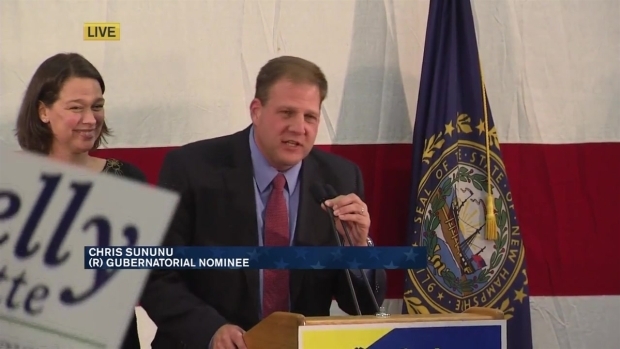 Republican Chris Sununu spoke to his supporters late Tuesday night. Despite the two-year election cycle, the governor says he wants to change the mindset in Concord and called for long-term thinking and planning. He said no one in the state has been untouched by the drug crisis, and repeated his calls for aggressive prevention programs in schools, expanding recovery programs and ensuring that law enforcement and first responders get the support they need.